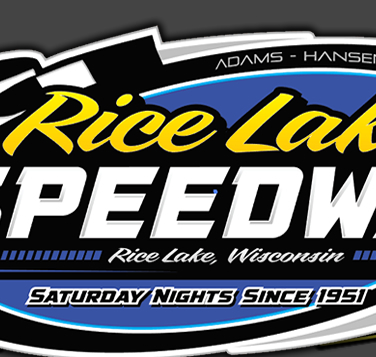 RICE LAKE, WI (May 24) - The tried and true saying that "patience is a virtue" certainly was reflected in the 25 lap UMSS feature race on Saturday night May 24 at the Rice Lake Speedway. Two-time UMSS Champion Jerry Richert, Jr. from Forest Lake, MN played the "waiting game" while following race leader Rick Kobs in a race that would go nonstop following an opening lap caution. Richert was waiting for an opportunity. That opportunity came in lapped traffic on laps 20-21. Kobs dove low in turn three to get under a lapped car while Richert kept his right foot firmly planted on the accelerator of his orange #63 sprint car up on the cushion. The pair raced side-by-side down the front stretch for the lead. Richert had the preferred top groove entering turn one, and when he exited turn two he had the top spot on lap 21. It was Richert's 15th career UMSS victory and second straight for the Memorial Day weekend. The win paid Richert $1,000 thanks to some bonus money from GRP Motorsports. Commenting following the race, the very happy winner stated that "Kobs was strong, so I was waiting for a chance to see if I could get by him in lapped traffic. When I saw him dive low in turn three, I figured this might be the break I needed." As it turned out, Richert made the most of his opportunity. Richert thought back to when he last had such a successful weekend in UMSS competition. "I think it was back in 2009 when I last won back-to-back races," stated Richert. Indeed it was, as Richert won four straight early that season. Richert appears to be returning to championship form early on during the 2014 season. 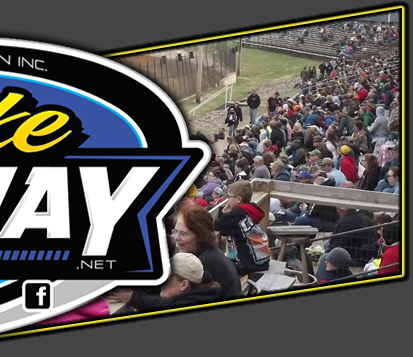 Another great spring day brought out a large crowd at Rice Lake for night #2 of the double header holiday weekend for the UMSS. The Ultimate Sprint heats were won by Richert and rookie driver Jamey Ogston. Challenge Race victories went to Cam Schafer and Chad Patterson. It was Patterson's first-ever win in a sprint car. Rick Kobs was the high point earner following the usual double round of UMSS qualifiers. During the hugely popular driver autograph session at intermission, Kobs pulled the zero pill for a straight up start in the feature event. When the UMSS races at Rice Lake, the driver autograph sessions are extremely popular with the fans especially the young ones. Fill-in announcer Terry Lehnertz from SCVR did a great job of handling driver interviews during the session. With Kobs and Richert on the front row of the feature, it was third starter and defending UMSS Champion Chris Graf racing to the early lead after the lone caution of the race waved for a Chad Patterson spin in turn one on the initial start. Kobs edged past Graf on lap three with Richert in tow up top. As the laps clicked by under green flag racing, Richert stayed close to Kobs. The leaders approached lapped traffic past the halfway mark, and as described earlier, Richert made the winning pass on lap 21. Finishing behind Richert, Graf and Kobs in the top five was rookie driver Ryan Bowers and Cam Schafer. Bowers was only in his fourth race behind the wheel of a sprint car and earned his first top five finish to take a narrow lead over fellow rookie competitor Jamey Ogston for the GRP Motorsports Rookie of the Year title. Bowers and Ogston currently sit in second and third in the over all point standings as well, as the two "young guns" have been impressive in early season UMSS racing action. The only driver unable to start the feature was Dave Becker. Becker slapped the turn one concrete wall in his heat race, breaking the rear-end in his car. Becker was done for the night. 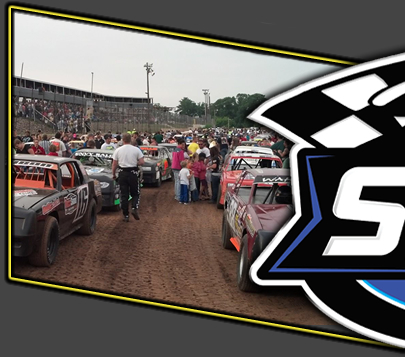 The next UMSS race is slated for the Granite City Speedway on Sunday night June 1. You can follow the UMSS on their website at www.umsprints.com or "like us" on our Facebook page. Meeks Video Ultimate Sprint Race #1 (7 laps): 63 Jerry Richert Jr, 34 Rick Kobs, 34TW Gunner Cummings, 15 Chad Patterson, 48 Neal Matuska, 10x Jennifer Eriksen, 91A Reed Allex. Driverwebsites.com Ultimate Sprint Race #2 (7 laps): 03 Jamey Ogston, 20G Chris Graf, 199 Ryan Bowers, 5C Cam Schafer, 5 Anna Kouba, 7M Bob McVitty, 7 Dave Becker DNF. Mastell Brothers Trailer Service Challenge Race #1 (8 laps): Schafer, Graf, Richert, Matuska, McVitty, Allex, Cummings DNF. Hoosier Racing Tire Challenge Race #2 (8 laps): Patterson, Bowers, Kobs, Kouba, Ogston, Eriksen, Becker DNS. GRP Motorsports Feature (25 laps): Richert, Graf, Kobs, Bowers, Schafer, Ogston, Kouba, Eriksen, Matuska, Cummings, Patterson, McVitty, Allex, Becker DNS.